To avoid gum disease, it is imperative to visit your dentist at the first sign of problems. Better yet, we invite you to contact us to schedule your checkup and cleaning before any obvious signs appear! Gum disease, though a highly prevalent disease in our country, is preventable with regular oral hygiene and professional care. Family history, like many other diseases, gum disease is passed down from generation to generation. If other family members have gum disease, your risk is higher. 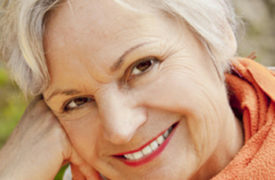 Hormonal changes, women tend to experience greater sensitivity and susceptibility during times when hormones fluctuate. Chronic illnesses such as diabetes or cancer may make one more susceptible to infection, including gum disease. Medications, especially those that can lead to a reduction in the flow of saliva, can increase the risk of gum disease. Saliva has an important protective role in oral health, diluting the effect of oral bacteria on teeth and gums. Some medications also promote excessive growth of gum tissue, increasing the risk of infection. Smoking, and the use of smokeless tobacco products, weakens oral tissues and inhibits healing. Tobacco use is one of the leading risk factors in gum disease. Gum disease is typically an adult dental problem, affecting relatively few children and teens. After the age of thirty or forty, the risk of gum disease tends to increase. Although women have the risk factor of hormonal fluctuations, research shows that men are more often affected by gum disease than women. Many of these symptoms may seem easy to ignore, but are actually signs that you should see your dentist for treatment. The early treatment of gum disease could reverse the condition, so don’t wait to make your appointment. During consultations and routine examinations, our team carefully evaluates the condition of delicate gum tissue. We will discuss any risk factors or underlying conditions that may put you at risk of gum disease, or worsen the symptoms of this condition if it has developed. We will look for any signs of irritation and infection. Your dentist or hygienist will check for swelling or pockets around teeth. If pockets are found, they will be measured using a dental tool. This probe is usually painless, and allows us to monitor the depth of pockets, allowing us to formulate the most suitable treatment. There are many reasons to see your dentist regularly. Avoiding gum disease is just one. 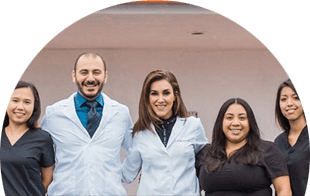 Contact us today to schedule your checkup with North Hollywood dentist, Dr. Elzayat.